Eleven's annual Christmas Salon is celebrating its fifth anniversary this year. From paintings to prints, and drawings to sculptures, the salon will feature our gallery artists: Ben Turnbull, Gerry Fox, Harry Cory Wright, Jennie Ottinger, Jonathan Yeo, Kent Christensen, Martha Parsey, Natasha Kissell, Natasha Law, Rick Giles, and Roland Hicks. Other artists featured include Cassie Howard, Daisy de Villeneuve, David Yarrow, Jane Hilton, Jonathan Glynn-Smith, Paul Hill, Peter Haslam-Fox, Peter Newman and Rob Carter. The display for this exhibition originates from the famous Salon de Paris where only the best artists were presented in this high profile exhibition. Similarly, Eleven will present an eclectic floor-to-ceiling exhibition unveiling some of the latest work of the artists. Highlighting each artist's distinct style, this exhibition creates an exciting visual experience and ideal opportunity to acquire new work. 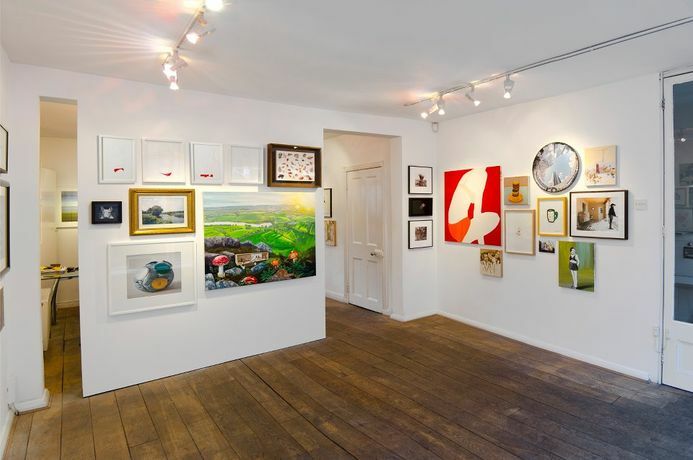 Featuring a dedicated area to limited edition prints which start at £100, Christmas Salon offers affordable works in time for the holiday season making unique Christmas gifts and offers an affordable avenue to start or enhance any collection. From emerging to established artists across a variety of media, Christmas Salon satisfies all tastes and budgets and truly offers something for everyone.